I am currently working on a geocache puzzle. I know that this cache is archived, and I don't actually live anywhere near the location anyway. I'm just trying to solve it for the fun of it. Here is my problem, many of the hints given on the page are encoded in the Runic Alphabet and the characters are flipped upside down. It is the third character. Oh also the second to last letter on the first line I'm not sure about, but I'm almost positive it is a P.
EDIT: Nevermind I think I might be able to find the letter through context clues, I recall seeing it in another puzzle and having the same problem. I have this font. The third character is "Y". Thank you Sslug, I knew I recognized it. 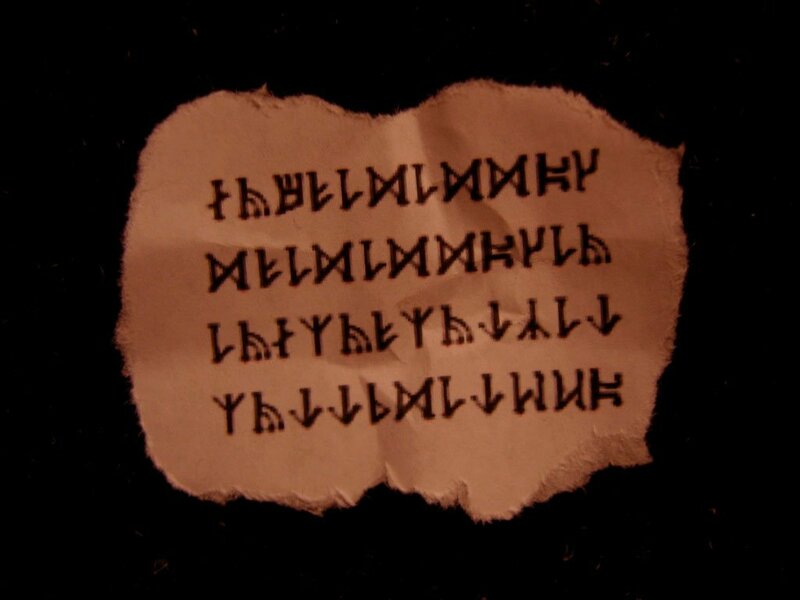 I ended up going back and deciphering the rune page on the torment puzzle again, and finding the letter that made sense. I scoured the first two google search results and couldn't find a font that included that symbol.